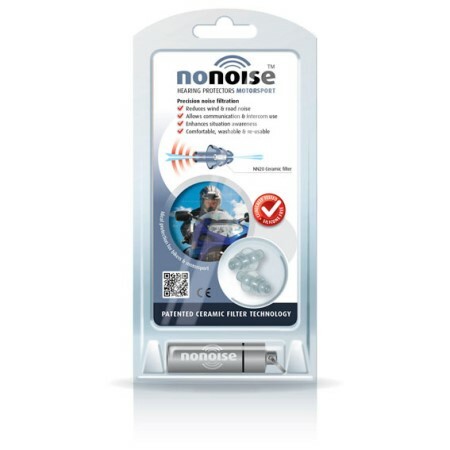 NoNoise have created the first and only Universal-Fit Hearing Protectors, that are able to position a precision sound filter deeply into the hearing channel of the ear. 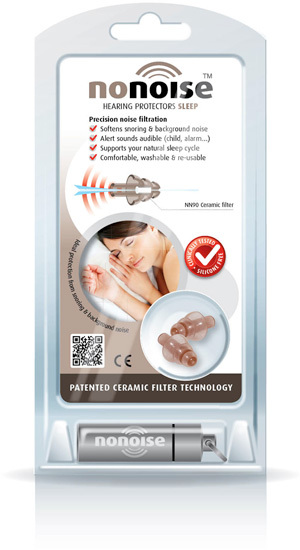 This ensures that the maximum level of sound waves reaching your eardrum is first filtered. NoNoise revolutionary design ensures optimum attenuation, helping prevent damaging sound waves from passing around the outside of the filter. Precision filtration does not muffle or block your ears, so you will not experience an ‘occlusion’ effect common with other hearing protectors. 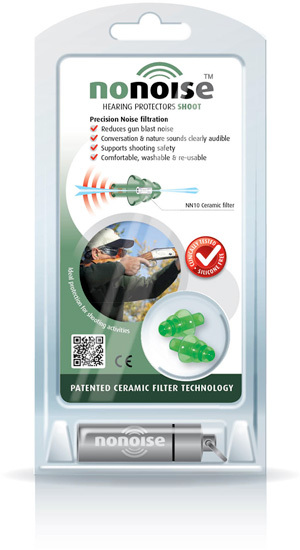 The patented ceramic filter is frequency-selective, so allows you to hear normal conversation and relevant background sounds – so you can carry on as normal, hardly noticing you are wearing hearing protectors. Product Code: MCNNMS. Categories: Safety, NoNoise. Wind noise on a motorbike produces noises levels up to 105dB; levels can reach 130dB for motorsport spectators. Permanent hearing damage can occur from 85dB so it is essential always to use hearing protection. What makes NoNoise Hearing Protectors different? Precision noise filtration. Hear what you want, not what you don't. It's all very well trying to block out all sound - but sometimes you still need to be able to hear conversation, the cry of a baby, a car horn etc. 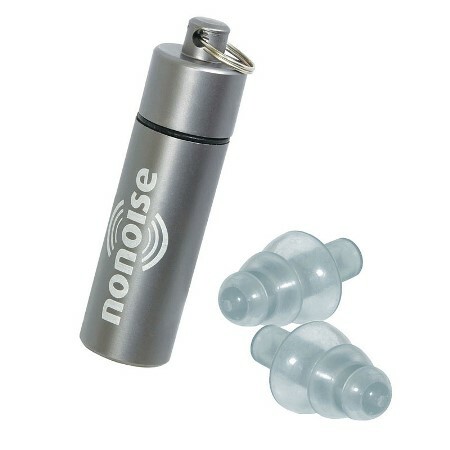 NoNoise's patented precision-tuning means you can reduce the noises you don't want to hear, but keep those that you do. 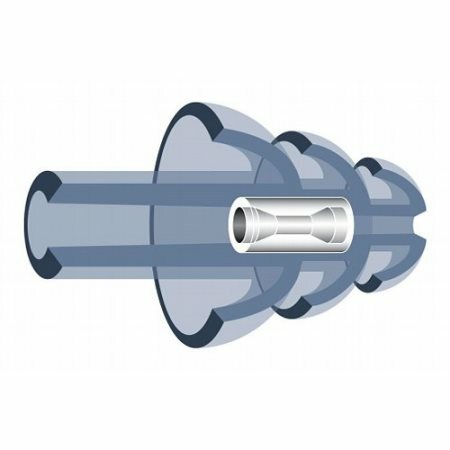 And because our filters are formed with the Venturi-shaped sound channel, from high grade ceramic material (zirconium oxide) at 2,715°C, the internal aperture surface is perfectly smooth. This results in more precise sound attenuation than with plastic (PE) filters which leave a rough, uneven channel surface. No muffling effect - no "blocked ear" feeling with NoNoise products. Traditional ear plugs leave your hearing feeling blocked and unnatural. This muffling or occlusion can be disturbing over long periods and can even effect our balance and physical judgement. 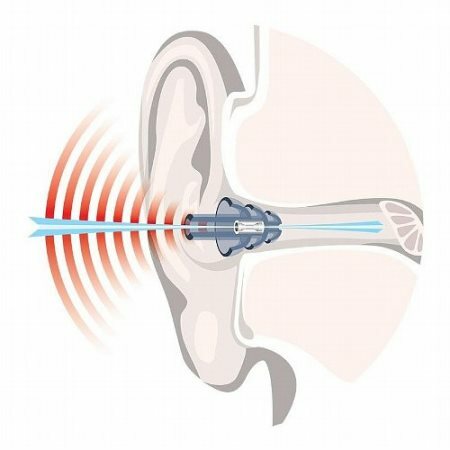 We have engineered this effect out of NoNoise Hearing Protectors, for ultimate comfort and practicality. Many people have health concerns over the use of silicone (medical grade or otherwise), so we offer a silicone-free construction - particularly appreciated by those who wear their Hearing Protectors regularly. Unique thermoplastic outer construction gives a feeling of supreme softness and comfort, even when you are sleeping with NoNoise Hearing Protectors or wearing them for extended periods. And with no muffling effect you will barely notice you are wearing them.